When you feel your years of Jensen FF custodianship have come to an end, why not let THE JENSEN MUSEUM sell your car. One of the few Jensen FFs built at Vignale in Italy, this car bearing the Vignale build number ‘8. The car was built up as a painted shell at Vignale, and shipped back to West Bromwich for trimming in a special steel-grey leather. The Museum has helped the owner where possible in regard to the car’s current restoration, including sample matching for the correct factory mist grey paint. Marque specialists, Rejen, have also been responsible for the excellent retrimming of the interior back to its correct steel-grey. The completed restoration has taken four years, and today the owner states the car drives very well. A comprehensive car history file goes with the car, which has completed approximately 99,000 miles between 1967 and 2017. The car is located just outside Stockholm. Further information available on request. This MK.I FF is finished in Cassis with grey leather trim. Originally Beluga with grey trim, the car was substantially rebuilt in the 1980s for a German collector. Since being brought back to the UK in the 1990s, the car has been little used. Today the body remains particularly sound, and the interior, re-trimmed in the 1980s, now has a pleasant patina. Chromework is excellent, and mechanically the car is in good shape. The engine-bay is very clean, and the FF retains its correct Dunlop braking system, along with Maxaret solenoid unit. The Jensen is presently on Minilite wheels, but a set of original Rostyle wheels is also included in the sale. A full history file is included in the sale. 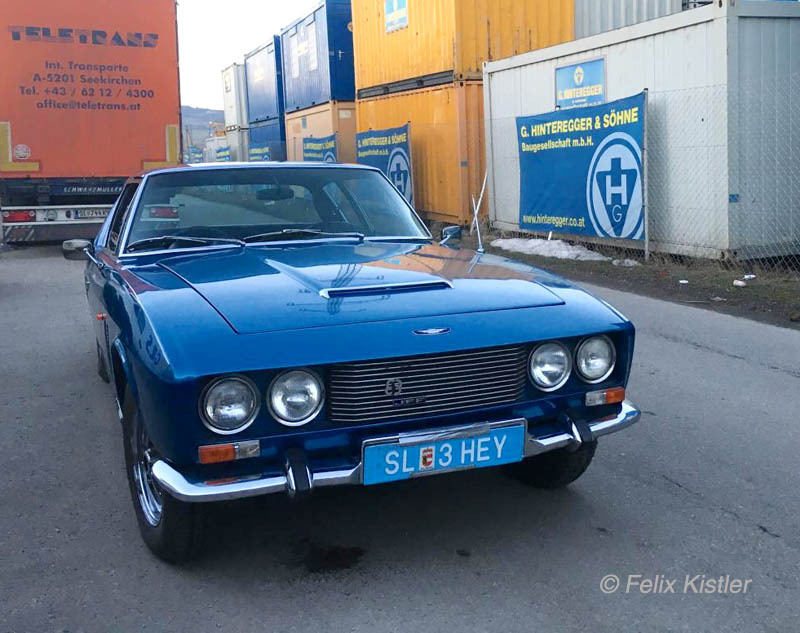 Purchased new by Janine Sebag-Montefiore, of the famous Sebag-Montefiore family, this Jensen FF was ordered in a quite spectacular special order deep metallic blue. Finished with contrasting grey leather trim, the car would have been eye-catching back in 1968, as indeed it remains to this day. 119/146 was supplied through the Southern Irish Jensen distributors, Ever-Ready Garages Ltd, and incredibly, their distributors sticker remains in the tailgate glass to this day. Recent ownership of this car was with a Dublin-based music producer, who owned the FF throughout the 1990s and into the 2000s. 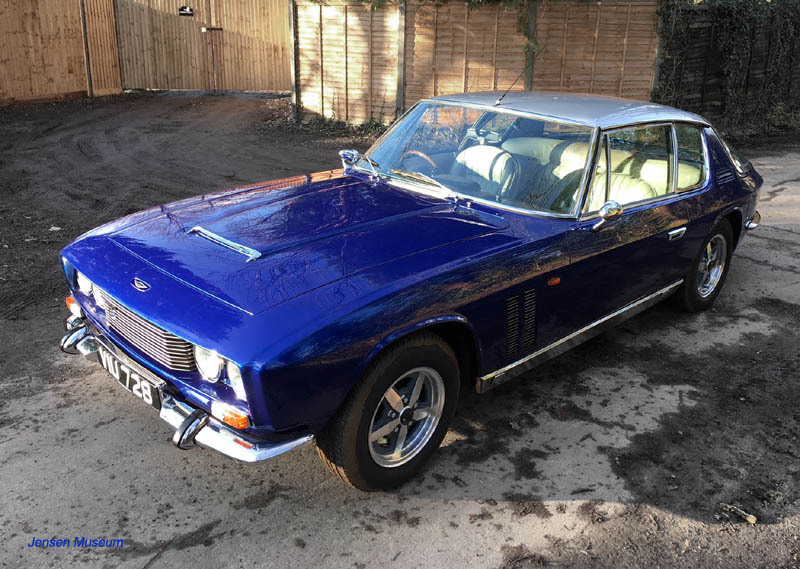 More recently the car was brought back to the UK, where it has undergone some sympathetic refurbishment, including a re-spray back into its correct special order deep blue metallic paint. Additionally, a large amount of mechanical work has been undertaken, and the car is believed to drive very well. FF MK.1, chassis 119/139 is available as an ungoing restoration project. The car first registered 20.06.1969 with the UK registration KPP 2G. Originally Orange (slightly paler than Tangerine, a special order by first owner) with black roof. Interior Black. This FF has resided in Austria since 1982. Some bodywork was undertaken in 1982, and the car resprayed blue. Dry stored since then. Very solid, minimal rust. Chassis in excellent condition and not welded. Blue paint microblistering but there is little evidence of any rust development. There is a dent in the front wing. Interior original and in an excellent condition. Engine appears to run well. Some work has been done to get the car partially roadworthy by the previous owner before the car was sold. Car is missing its original brake master cylinder and servo (non original items are currently fitted) plus its rear bumper overriders. Mileage showing is just over 90,000 miles. 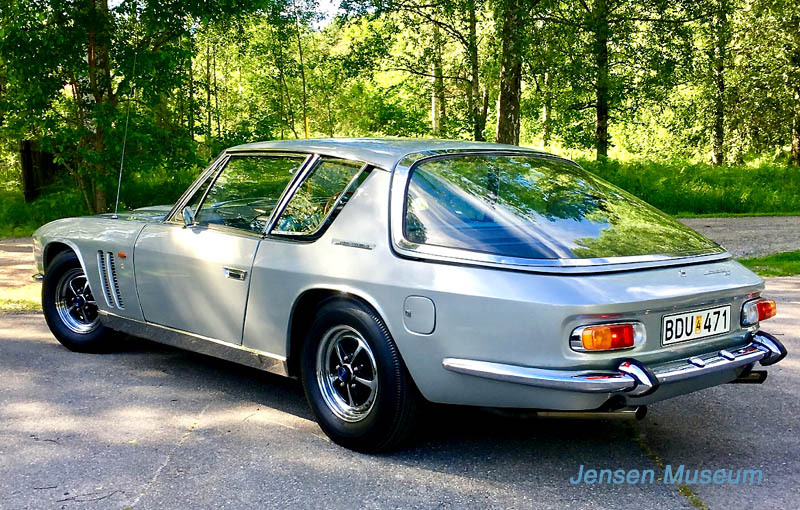 The Jensen FF is a four-wheel drive grand tourer produced by Jensen Motors between 1966 and 1971. It was the first non all-terrain production car equipped with four-wheel drive and an anti-lock braking system. The use of four-wheel drive in a passenger car preceded the successful AMC Eagle by thirteen years and the Audi Quattro by fourteen years, and the Subaru Leone by five years. The Dunlop Maxaret mechanical anti-lock braking system had previously been used only on aircraft, lorries, and racing cars. 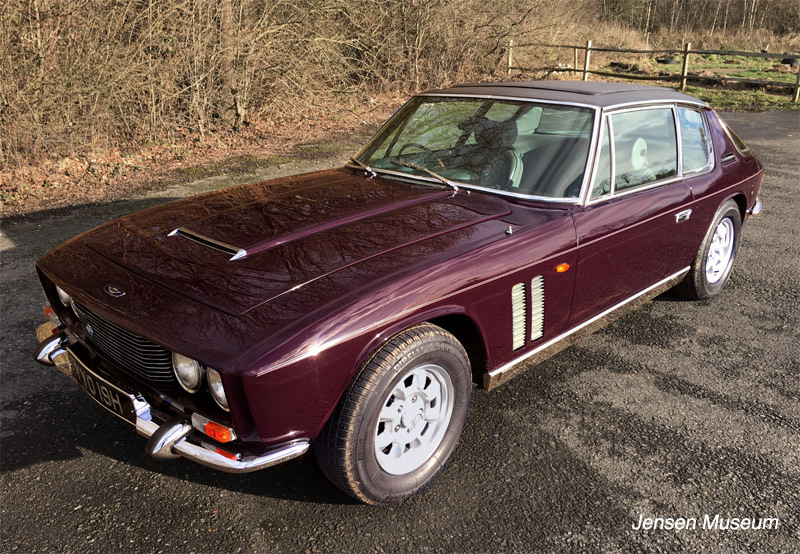 Just 320 Jensen FF cars were produced between 1966 and 1971, and today are the most sought after cars originally manufactured by Jensen Motors.